Android Operating system is becoming popular day by day, Because of its more popular apps and we can also get it at cheap rate in the market as compared to other product like Apple. and of course most of the apps can be downloaded from google play store for free. such features making it to use on the computer using different kinds of emulator like Bluestack , Windroid Emulator and many more. 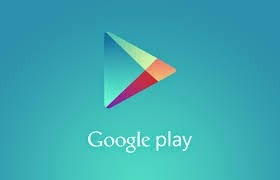 To use android application through computer we need to download apk file which can not be downloaded directly from Google play store. But today i am going to share with you, how can we download android application from Google play store from the computer with simple steps. First, Go to Google play store official site from here. Now search the application you want to download and click that application. You will see something following picture. now copy that selected link(app id) and go to http://apps.evozi.com/apk-downloader/ and paste the link that you have copied and click on 'Generate Download Link' (It may take few second or minute to complete, according to the size of a file). After the completion of process you will see a new button saying click here to download [app-name] now then click on that button. finally you will get apk file of an application , now you can install it to any emulator and can also install to the mobile devices.